The End of OVPD – The Internal Revenue Service’s Offshore Voluntary Disclosure Program or OVPD, which allowed United States taxpayers to voluntarily disclose previously undisclosed foreign accounts, assets, or income is coming to an end. The initiative waived the possibility of criminal prosecution for those that disclosed the ownership of such foreign accounts, assets and income through the program. The OVDP was created in 2009 and will be ending almost a decade later in 2018. So far, more than fifty-six thousand taxpayers have made disclosures through the program. Over 11 billion dollars has been paid through a combination of back taxes, penalties and interest payments. While the Program seemed like a success, the number of taxpayers utilizing the program has decreased year after year. In 2011, eighteen thousand taxpayers used the program, but in 2017 only six hundred did. With OVPD gone, those owning undisclosed foreign assets, accounts or income could face prosecutions. It has been reported that the Department of Justice, in charge of such prosecution, has received increase in its budget to investigate, enforce and prosecute those in violation of bank secrecy and tax laws. Fresh State Initiatives While the Internal Revenue Service is ending the Offshore Disclosure Program, the agency’s Fresh Start Initiatives is still applicable. There are a couple of important things to note in the IRS Fresh Start Initiatives. The IRS Fresh Start program involves lessened tax liens, installment agreements and possible compromises for those with unpaid taxes. If you’re wondering, the IRS statute of limitations, that is the amount of time the Internal Revenue Service has to assess your tax return is three years. Innocent Spouse Relief For those wondering about the IRS Innocent Spouse Relief Program, the Internal Revenue Service has information on their website. The program mainly boils down to three options for separating liability between you and your spouse that may be necessary depending on the circumstances. It is important to note that while filing taxes jointly has certain advantages, both taxpayers are made liable for unpaid taxes, penalties, interest and errors. A spouse remains liable even after a divorce, even if the mistake was made involving the non filing of their spouses income. To quality for the innocent spouse relief program, you must be be able to establish that at the time of signing you were unaware of the error, that the error was solely that of your spouse and that it would be unfair to hold you liable for the unpaid taxes, penalties and/or interest. 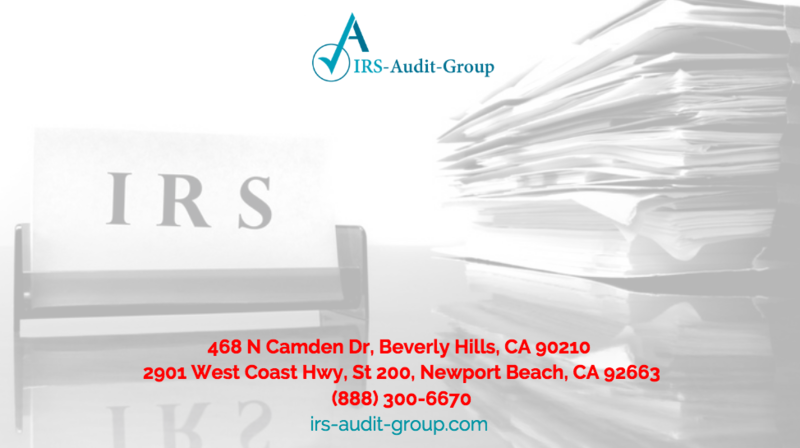 Contact our team at IRS Audit Group Beverly Hills to learn more about such issues and to get the help you need today. Tax relief is easy, you don’t have to face the IRS on your own as it can be stressful and overwhelming – we are here to assist with all of your tax problems.